Time for your vehicle’s maintenance? Bear Alignment and Brake is dedicated to Vehicle Safety and Customer Service. 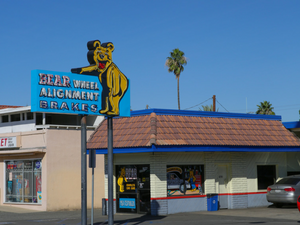 Located in Corona, CA, we have everything for your Brakes, Steering, Suspension and more. In this busy world today, itʼs nice to have one place you can take your vehicle for service. That is why we offer full Automotive Maintenance, including Scheduled Maintenance. We also offer free local shuttle service for your convenience. Call to find out more about our services and make an appointment for a Free 84 point Preventative Maintenance Courtesy Check. Don't risk having to spend unnecessary money by delaying your vehicle's maintenance.